Home » Man Creates Amazing Snow Art Just by Walking? What about crop circles? 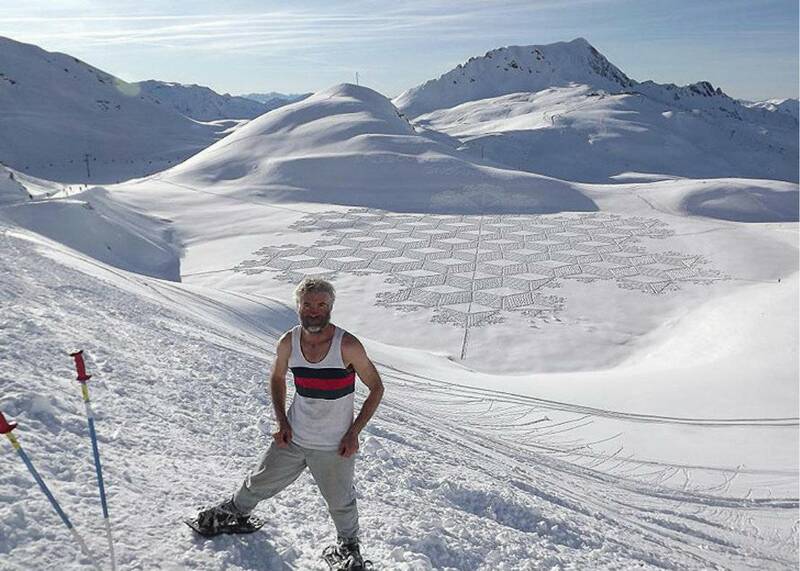 This is Simon Beck, he is a very unique artist who have been well-known for creating incredibly detailed snow art. He is neither carving nor sculpting the snow, he does his work of art just by walking over a fresh snowfall. He walks miles in the snow to create these mind-blown pieces. He is truly a man who loves art, because he spends several hours making each design, knowing it will be covered with another layer of snow the next day. Liked his work? Don’t forget to share this article with your friends on Facebook, they will thank you for it!